After recently inking a deal to create her own line of clothing and lifestyle products with Adidas, Beyoncé is teaming up with Netflix to bring fans her Homecoming film. The 23-time-Grammy winner’s instant-classic headlining set at the 2018 Coachella festival will be the focus of the upcoming documentary. Reportedly, the picture will feature her performance, which was originally live-streamed, as well as unseen footage. The concert film is set to strategically premiere via Netflix on Wednesday April 17th in the lull between the gathering’s first and second weekends. The media giant teased the work with a simple post on Instagram which only showed the title, using Greek letters. 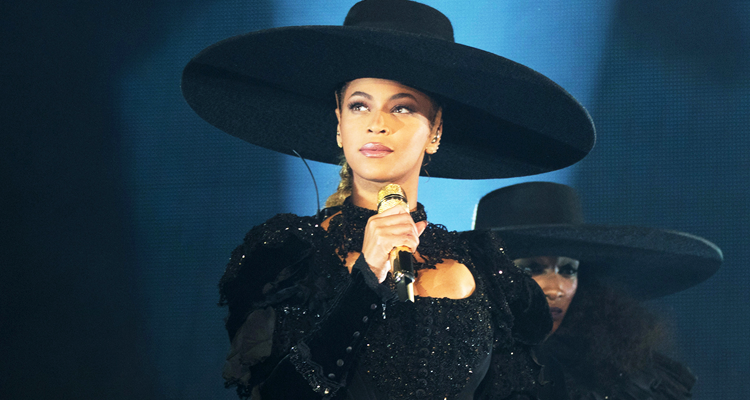 The title and letter choice are pulled from Beyoncé references, namely, her Beta Delta Kappa sorority who accompanied the singer to the stage at her iconic performance. Also, earlier this year, through her BeyGood initiative, she announced the Homecoming Scholars Award Program which grants certain students at historically black universities $25,000 to pay for their school costs.